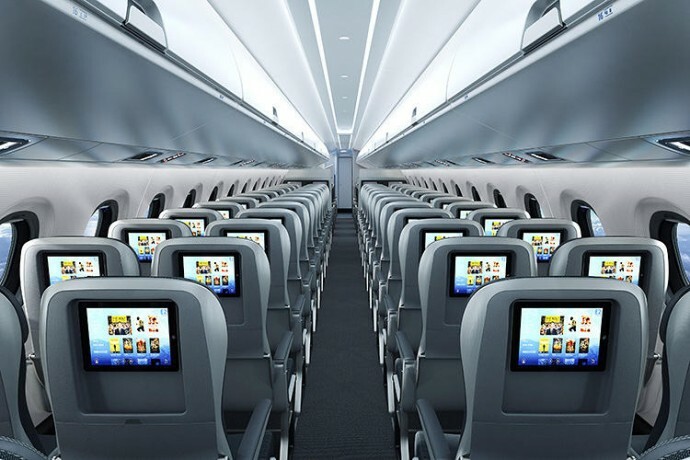 There is no doubt that the design of commercial aircraft cabins has vastly improved with time but with the industry’s profit margins diminishing by the day, over the last few years we have seen airline companies tweaking the cabin setup with just one thing in mind – profit maximization even at the cost of passenger comfort. 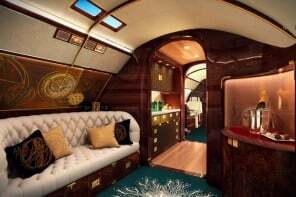 Most of the improvements land up in the first class section like the TAM airline’s new first class cabin or the BMW designed first class cabin of Singapore Airlines which both are amazing to say the least. But come 2018, the cabin design will see a huge improvement compared to current standards and flying coach will be much better all around. 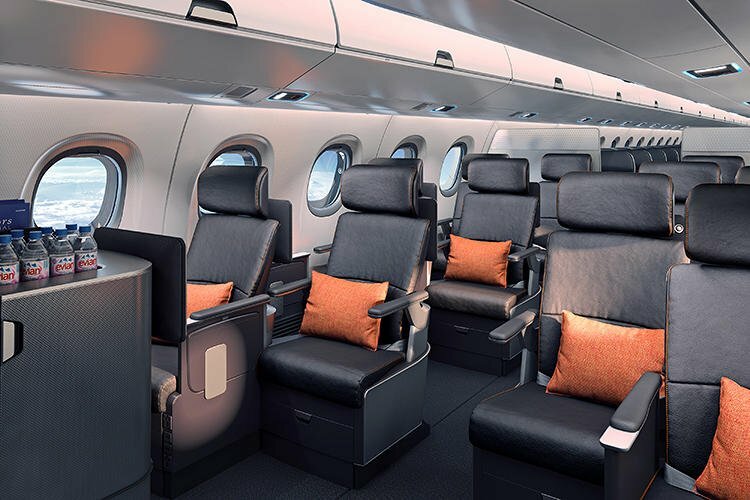 Priestmangoode, the design firm behind the rebranded interiors of Turkish Airlines and Lufthansa, recently unveiled a new cabin design that’ll hit the skies in 2018. 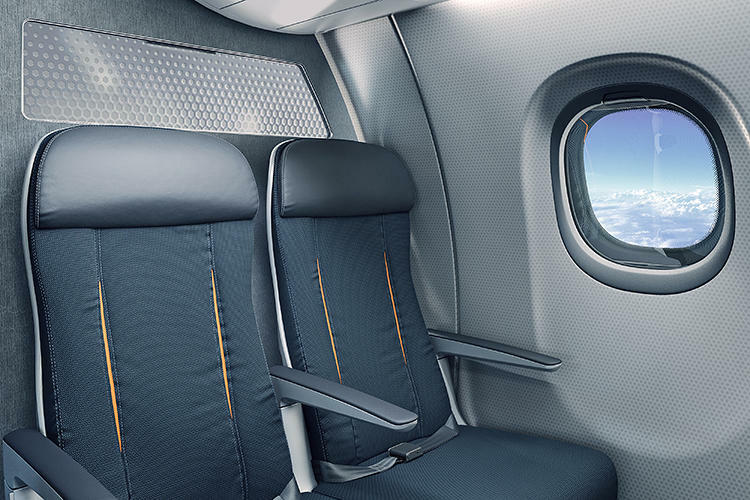 The Embraer 2 aircraft which is slated to hit the skies in 2018 will come with a smart flying coach which fixes most of the current issues of current cabins. 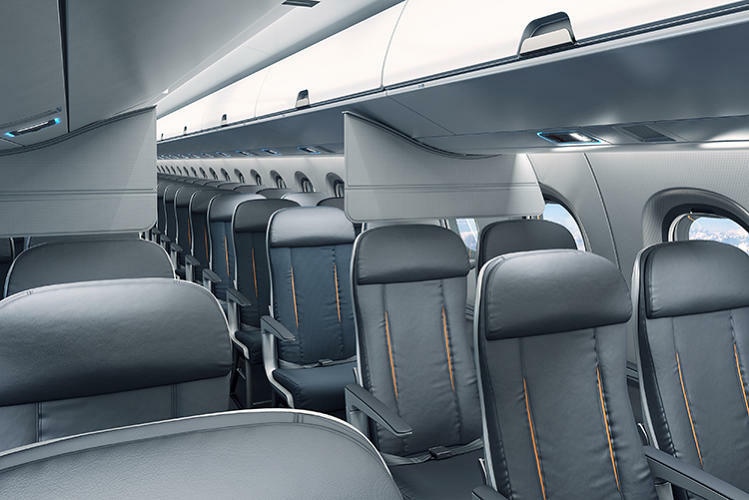 Embraer’s commercial clients include JetBlue, American Eagle, Delta, and US Airways and the E2’s cabin designed by Priestmangoode has slimmer, roomier seats, 40% more space for luggage and host of smart technologies to not only improve the passenger experience but successfully cut operating costs for airline. And the best part is that the design can be applied to both coach and business class. 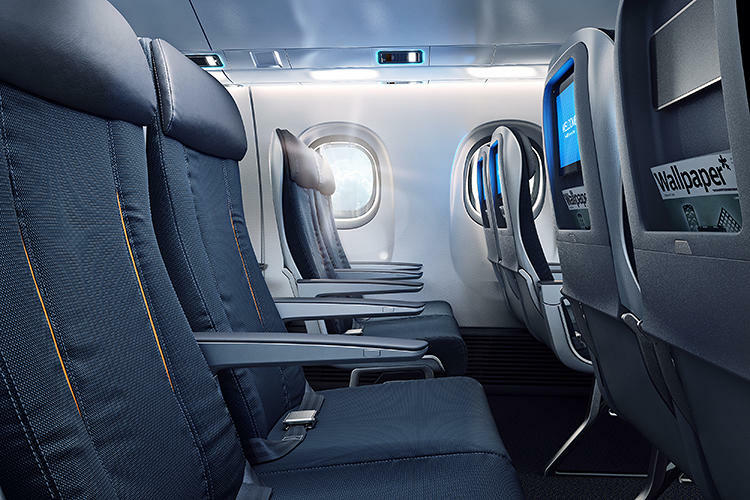 Priestmangoode’s design allows for the same seat tracks and bins to be used throughout the aircraft, regardless of the class. A great video has been uploaded by the company explaining all the new elements of E2’s cabin which you can see after the jump. 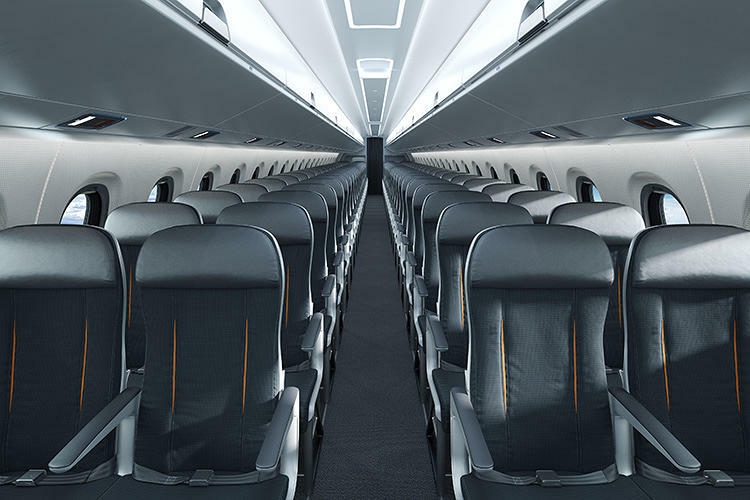 The key improvements that have been used in the design include slimmer seats, bigger and smarter luggage bins, new integrated entertainment system, smarter and high-tech toilets and new seat arrangement which makes more room for the passengers without bumping into each other. The cabin also has a Personal Energy Supply Units (PSUs)–the air and light control unit above the seats. 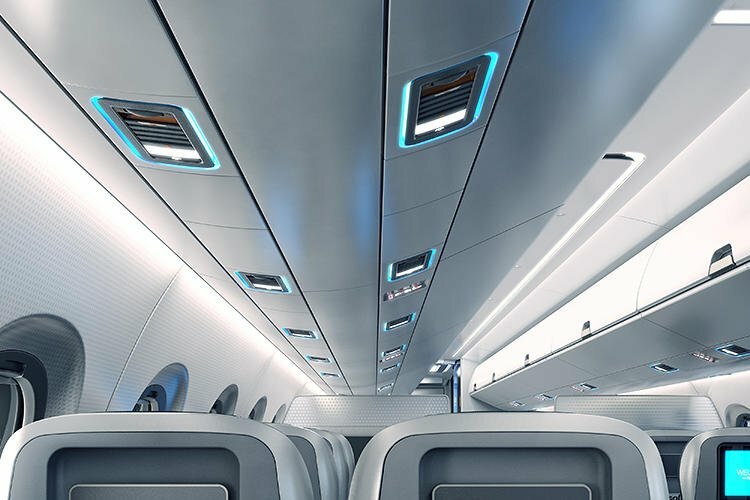 They’ve made what they claim are the first individual PSUs, which let each passenger control the light and air overhead without disturbing the passenger next to them.